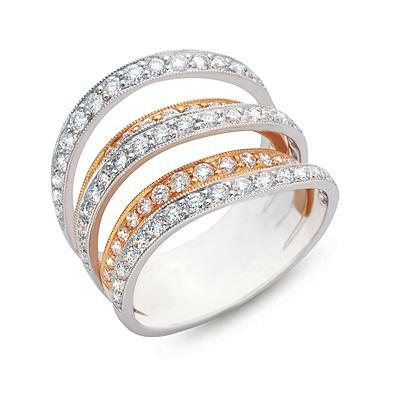 14k two-toned rose gold and white gold diamond ring. The ring features 1.53ct of diamonds with a multi row design. Note the ring is in stock size 6.5 other sizes can be ordered.